Am/Int'l Ch. 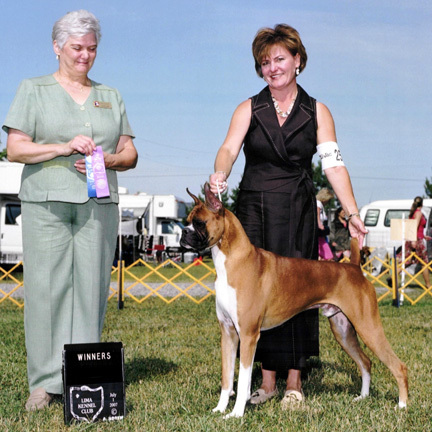 Robinson's Burnished Gold "Bernie"
and the Union Cynologie International e.V. 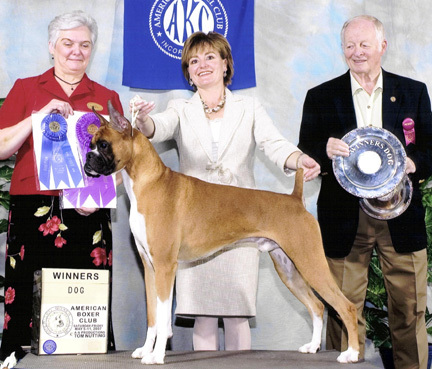 (UCI) Shows on Jan. 30 & 31, 2010.
and 3 Best of Breeds, a Group 2 and a Group 3. 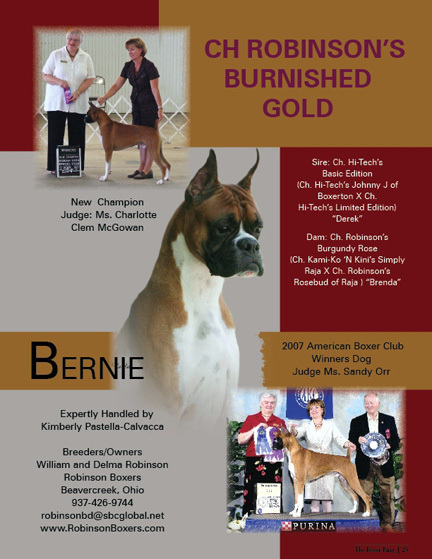 The ad above appeared in the Dog News magazine in July 2007. 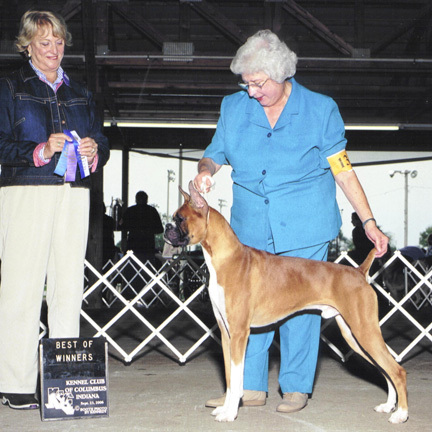 Bernie shown above in May, 2007.
under Judge Ms. Charlotte Clem McGowan handled by Kim Pastella-Calvacca. 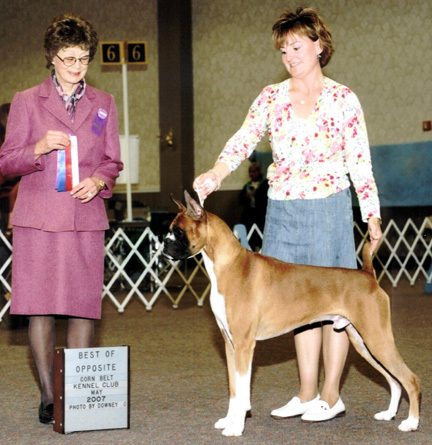 under Judge Sandy Orr handled by Kim Pastella-Calvacca. 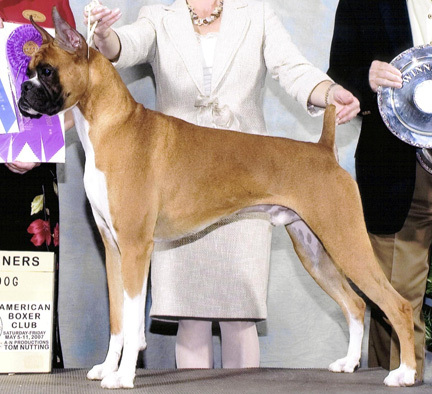 at the 2007 American Boxer Club National Specialty. under Judge Patricia V. Trotter handled by Kim Pastella-Calvacca. The 2007 ABC National Specialty was held May 5-11, 2007 at the Drawbridge Inn, in Ft. Mitchell, KY, with 788 Boxers entered in Conformation Competition. 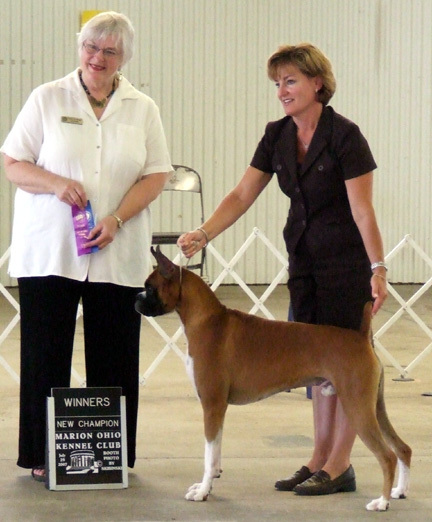 Breeder Judge Mrs. Sandy Orr awarded Bernie the American Bred Fawn Class win. She then chose him as the WINNERS DOG ! 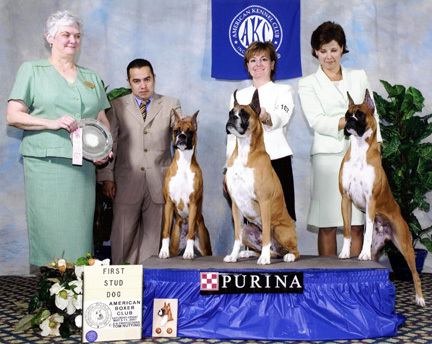 ( 5 point Major) May 9, 2007 Bernie was expertly handled by Kim Pastella-Calvacca. 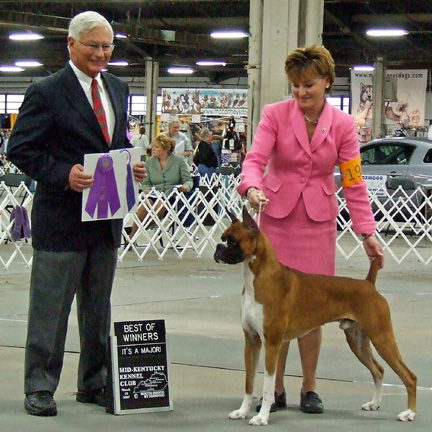 under Judge Dr. Ronald Spritzer handled by Kim Pastella-Calvacca & Jody Paquette. 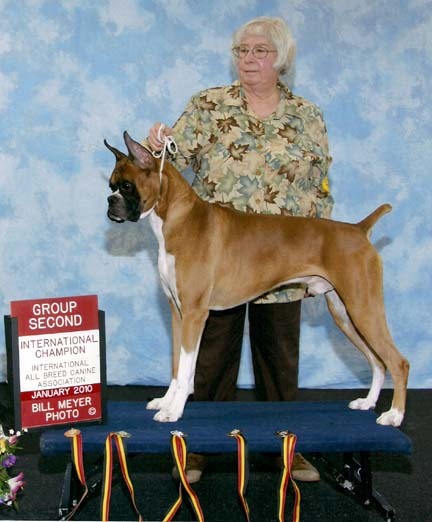 under Judge Keke Kahn owner/handled by Delma Robinson.